First-time visitors to any country need to know the best ways to travel both smartly and safely, and travelers to Canada are no different. It's important to know emergency procedures as well as cultural practices, such as tipping standards and the legal drinking age. So, whether you are visiting Vancouver, Toronto, Montreal, or anywhere in between, here's how to make your first time in Canada as easy and seamless as possible. If you're traveling to Canada from a foreign country (including the U.S.), you must have the correct travel documents. 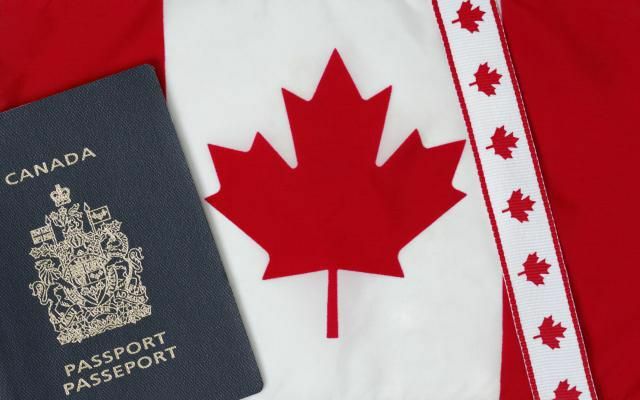 At a minimum, you will need a valid passport, and some countries may also require a visa or Electronic Travel Authorization (eTA) before entering. The eTA is mandatory for all visa-free nationals except Americans (as of November 2016). For more information on visas and the eTA, visit the government of Canada's website. Countries that do not require a visa to enter Canada include the United States, Great Britain, Australia, Japan, Italy, and Switzerland, among others, but check for updates before planning your trip. Canada is a very large country made up of 10 provinces and three territories. These provinces are similar to states in America, and for example, Vancouver is in the province of British Columbia, while Montreal is located in Quebec. If you are unsure about which province you're traveling to, consult a detailed map of Canada before arriving. If you are in an emergency situation, the phone number for contacting emergency services, including the police, medical services, and firefighters in Canada is 911. You may dial this number from any phone for free, but make sure you only use it in a case of emergency. Before you leave, read up on tips on keeping safe while traveling, including how to get non-emergency medical care. Canada's currency is the Canadian Dollar. There are $5, $10, $20, $50 and $100 Canadian bills (paper money) and $1 and $2 coins. You may hear the Canadian $1 coin referred to as a "loonie," and the $2 coin referred to as a "toonie." Before your trip, know the current exchange rate, which fluctuates daily, and even sometimes by the hour. Just like in the United States, the images on the paper bills and coins have significant meaning to the country. For example, on the back of every Canadian $20 bill is the sculpture Raven and The First Men by British Columbia's First Nations artist Bill Reid. This sculpture is on display at the UBC Museum of Anthropology in Vancouver, which is open to the public. Tipping 10 percent to 20 percent of the cost of the service is expected for many services you use when traveling to Canada including restaurant wait staff and beauticians. Different tipping standards apply for bartenders, taxi drivers and hotel staff who assist you during your stay. If you're unsure about tipping, consult your hotel's concierge or try to observe the patrons around you. In Canada, each province sets its drinking age. Aside from Alberta, Manitoba, and Quebec, provinces allowing drinking at 18 years of age, the legal drinking age everywhere else is 19. To drink alcohol at a restaurant or bar in any province, you must have official documentation, such as a passport, in order to prove your age. The minimum drinking age may also apply to many of the local ​nightclubs, who will only admit guests over 18 or 19 years old.